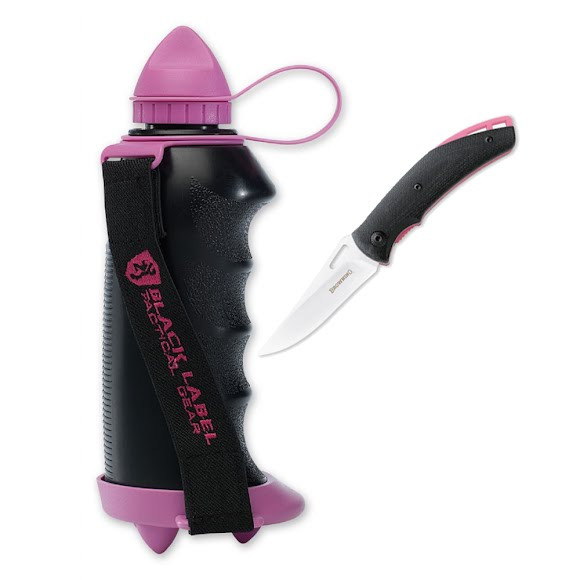 SELF-DEFENSE TOOLS THAT WON'T APPEAR OFFENSIVE. In today's world of heightened security it becomes increasingly difficult to carry traditional self-defense tools wherever one goes. With these innovative Black Label personal security products people can stay safe while staying within the security rules. SELF-DEFENSE TOOLS THAT WON&apos;T APPEAR OFFENSIVE. In today&apos;s world of heightened security it becomes increasingly difficult to carry traditional self-defense tools wherever one goes. With these innovative Black Label personal security products people can stay safe while staying within the security rules. The Black Label AquaForce Tactical Water Bottle offers practical protection when carrying a water bottle. Don&apos;t leave home (or go for your morning run) without one. It offers the extra ability you need to fend off an attacker. Comes in combo with a matching folder knife.